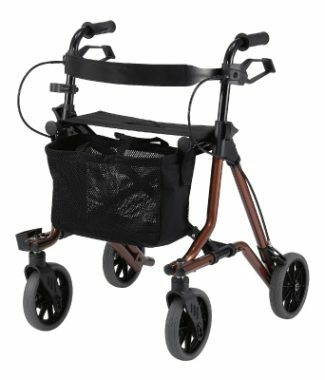 The Revo Rollator, is made of brown powder coated aluminium and is designed for both indoor and outdoor use. Includes bag. 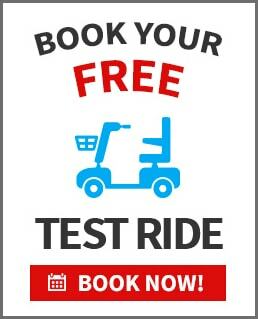 Compact folding main frame & cross bar allows for easy transport. 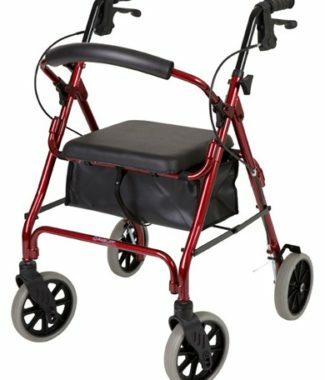 The 6 Inch wheel rollator is designed predominately for indoor use or environments with smooth flat surfaces. 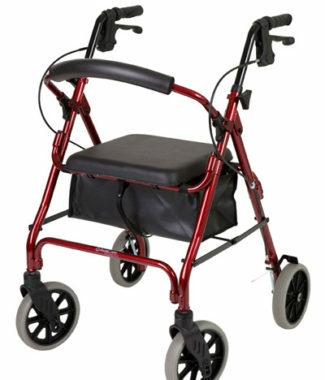 The 8 Inch wheel rollator is designed for indoor and outdoor use and weighs only 7kg.